Fenerbahçe and Galatasaray are bracing for their last chance to bask in glory in a prominent European competition when they take on Russia's Zenit and Portugal's Benfica, respectively. Fenerbahçe, which is teetering back and forth from the relegation zone in the Turkish Super League, will host the Russian side today in the first leg of the UEFA Europa League Round of 32 while Galatasaray will welcome Benfica on Feb. 14. The Yellow Canaries of Fenerbahçe are looking to bounce back into form after a disastrous first half in the Super League. The team is counting on new coach Ersun Yanal and another advantage they have is their unbeaten record against Russian teams in home games, with two wins and two draws after they secured their third Europa League Round of 32 in a row against Russian outfits. Zenit, on the other hand, played only one UEFA fixture against a Turkish club and that ended with a 1-1 draw more than 14 years ago. The Yellow Canaries last successful campaign in the Europa League was in the 2012-13 season when they reached the semifinals. Fenerbahçe also enjoys a record of not losing any games, save for one in the past 16 matches in European competitions, where it was the host. Zenit, like Fenerbahçe, is far from its best days. Despite its storied win of both the Europa League and UEFA Super Cup in 2008, the Russian side saw a decline at home and its last title at home was in the 2014-15 season. Still, it currently stands at the top of the league, one point ahead of Krasnodar with 34 points after 17 matches. Apart from Yanal, Fenerbahçe is counting on new transfers Sadık Çiftpınar, Victor Moses and Tolgay Arslan. An insight from former Zenit player Martin Skrtel in Fenerbahçe's lineup may come in handy too. Skrtel did a stint with the Russian side between 2004 and 2007. Speaking at a press conference yesterday, Ersun Yanal said they would "show the true force of Fenerbahçe" against Zenit. "Zenit has always been in the top standings in European competitions and they have strength. However, Fenerbahçe's strength at home is undisputed. Our fans will fire up the atmosphere. We have an equal chance with our rival," Yanal said. The coach said that Fenerbahçe's standing in the local league did not "reflect its strength" in other competitions. "Fenerbahçe is not a team that won only one title in Europe and never made it to [UEFA competitions] again. We always have been somewhere in the standings no matter how high or low. We now need to crown our accomplishments. I think we are looking forward to taking a great leap," a confident Yanal added. The Galatasaray and Benfica game is expected to be tough as both finished third in their UEFA Champions League groups and know each other well as they met on three occasions in UEFA competitions. Benfica is familiar with Turkish teams - it has played them 15 times in the past - but it has never enjoyed a victory in Turkey. This is Galatasaray's third Round of 32 campaign in the Europa League and their previous two ties at this stage ended in elimination. 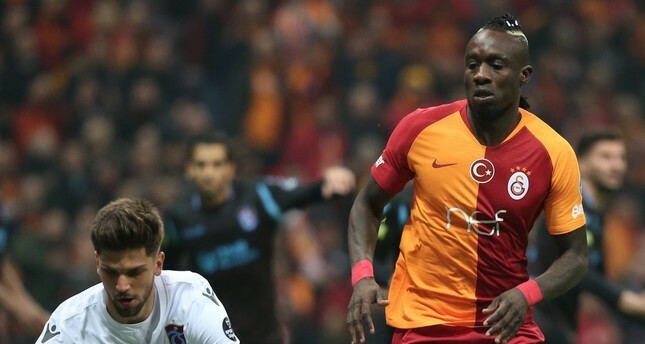 Like Fenerbahçe, Galatasaray is relying on new transfers Marcao and Mbaye Diagne. Fatih Terim, the team's veteran coach who rejoined the Istanbul side after a stint with the Turkish national team, is behind seven league titles for Galatasaray.